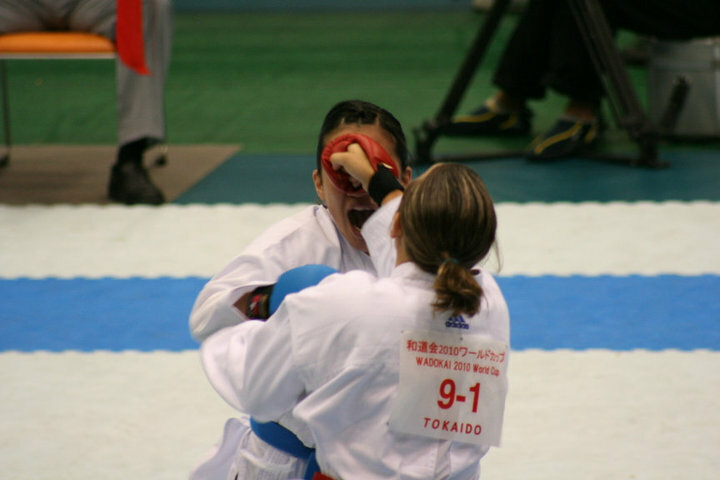 Amy scrapping with Rie Hirai, another of the Shiramizu Alumni at the Wado World Cup 2010. 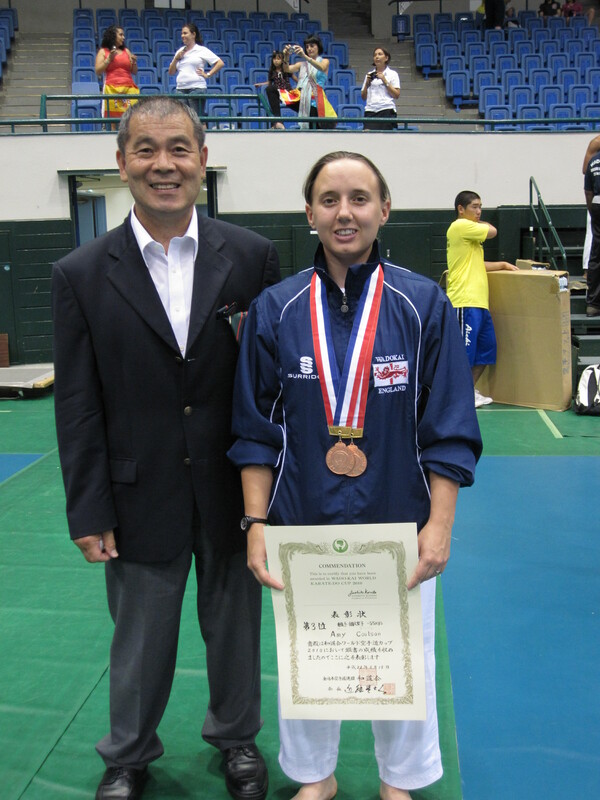 Amy did very well at the Wado World Cup, we’ve had this friendly rivalry between us since Amy first began competing. Amy is natuarally competitive and her goal for a while now has been to win more medals than I’ve won in my competition career so far. Before the WWC we were pretty close but with the lastest addition of TWO bronze medals (Individual & Team Kumite) at the Wado World Cup, I think it’s fair to say that Amy has taken the lead! You’d think Amy would be particularly pleased with her performance and I’m sure deep down she is. The main thing that’s bringing smiles to her face is the fact that at the Japan Nationals which were held a week after the WWC, Amy scored with TWO HEAD KICKS in her first round fight, Amy wasn’t even upset at just missing out in this very close 8 points to 7 match. Head kicks are something that Amy has struggled with for a long time and she thinks this landmark achievement is more significant than winning medals at the Worlds. – This is clearly a result of having ‘Performance Related Goals’ rather than being focussed on medals! This entry was posted on August 26, 2010 by hartlepoolwadokai. It was filed under Uncategorized and was tagged with Amy says..., Wado World Cup.